Yongae Jun is a Registered Patent Attorney who focuses her practice on patent and trademark prosecution and litigation. Prior to becoming an attorney, Yongae worked at Lockheed Martin as a member of the hardware group assigned to the Joint Strike Fighter (JSF) Simulator and as Lead Software Engineer on the gimbal servo-control software module for a new naval destroyer tracking system. Ms. Jun has extensive experience with trademarks as well as patents in the mechanical, computer, software, and electrical arts. Yongae has worked on trademarks in virtually every area of commerce and patents in subject areas including Internet and mobile device software, augmented reality devices, microcontrollers, touch screens, digital cameras, refrigeration coolants, medical devices, anti-aging compositions, cancer treatments, household appliances, exercise equipment, construction tools, apparel, tires, luggage, signage, fiber creel machines, and many more. Ms. Jun served in the U. S. Army for eight years, including combat duty in Iraq. She was awarded a B.S. in Computer Engineering and a J.D. from the University of Akron in Ohio, where she graduated third in her class, served as an editor of the Law Review, and was published in the Akron Intellectual Property Law Journal. 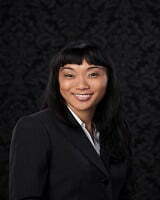 Ms. Jun is on the Boards of the Intellectual Property Law Association of Florida (IPLAF) and the Asian Pacific-American Bar Association (APABA) of South Florida. She is also a member of the American Intellectual Property Law Association (AIPLA).